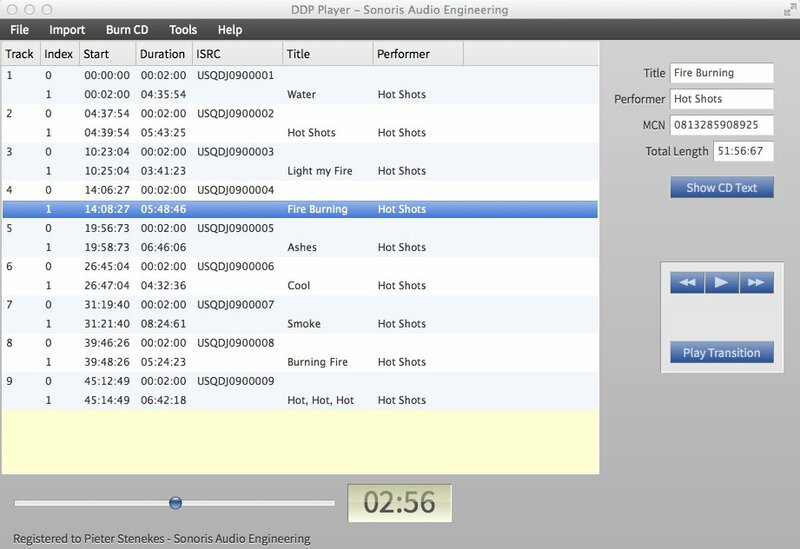 The Sonoris DDP Player is a standalone cross-platform application that imports DDP 2.00 images and Cue Sheet (cue) files for playback or creating RedBook compatible audio CD’s. An iOS version of the DDP Player is included. The installation is simple, just download the free DDP Player app in the Apple App Store and use your serial number to unlock it. The DDP Player for iOS supports DropBox for easy DDP file import. 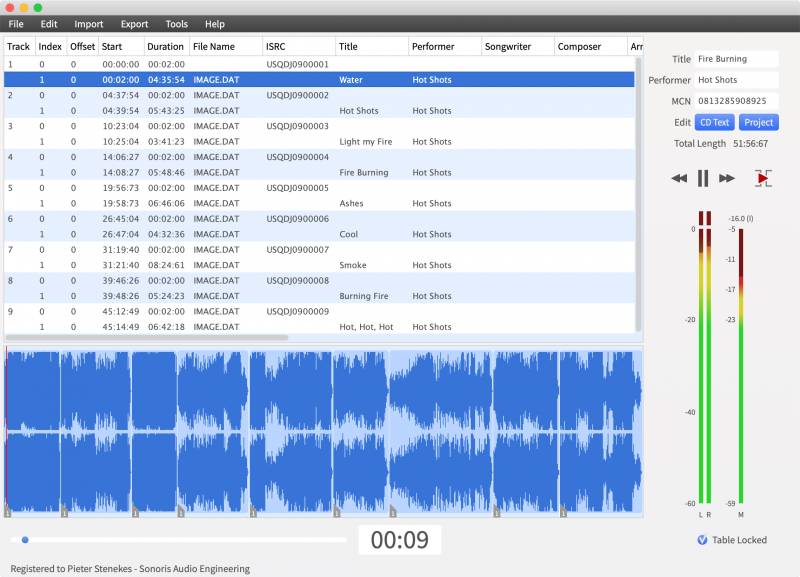 The DDP Player is also available as a branded OEM version for (online) mastering studios that want clients to listen to and approve DDP masters. The OEM version has all features of the regular version, but is tailor made with studio branding like a logo, name, address and website URL and may be given freely to customers.